The use of antibiotics by Big Ag to artificially promote growth of food animals (and therefore profits) has continued to increase in recent years. Food safety advocates have criticized the FDA for not regulating antibiotic use in food animals and for making compliance “voluntary”. 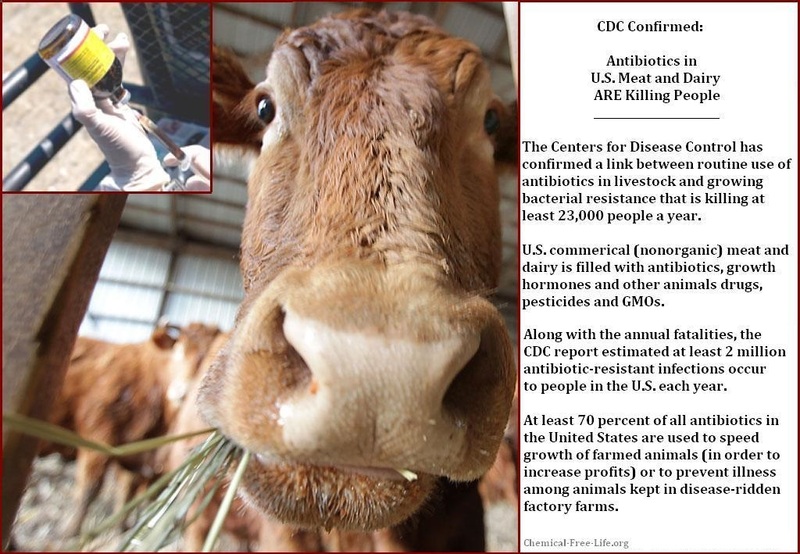 Now several organizations have filed a legal petition demanding that the FDA reel-in Big Ag’s practice of misusing antibiotics to artificially promote growth and for “preventative” care of animals living in filthy factory farm conditions. The Natural Resources Defense Council (NRDC) and other groups filed a petition this week asking the FDA to withdraw approval for using antibiotics in livestock to promote growth and prevent disease.